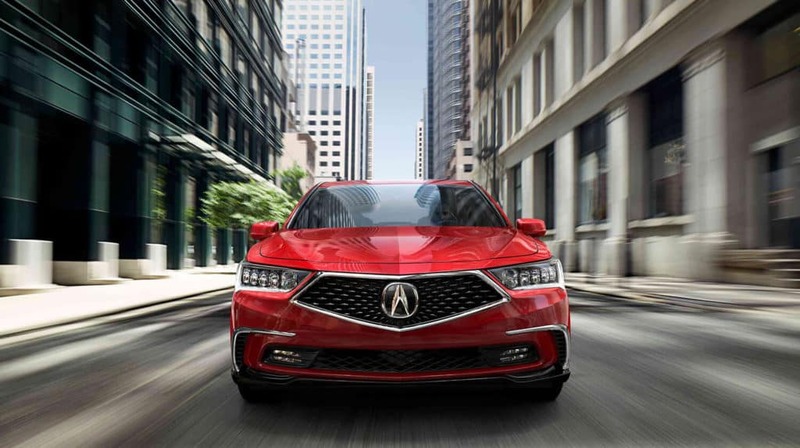 We think most of our Chicagoland drivers already know the benefits of an AWD Acura vehicle when winter hits, but all-wheel drive does more than give you confidence in the snow and on icy roads. 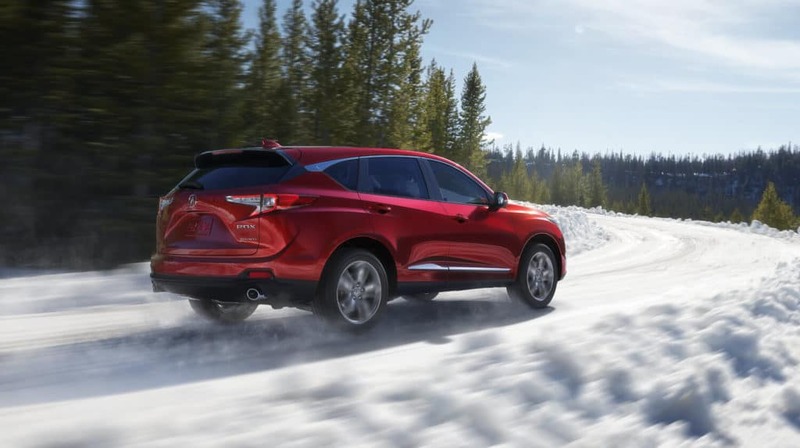 If you plan on taking that MDX or RDX out camping, Acura’s available all-wheel drive options can give you the torque needed to make it through muddy or uneven terrain with ease. 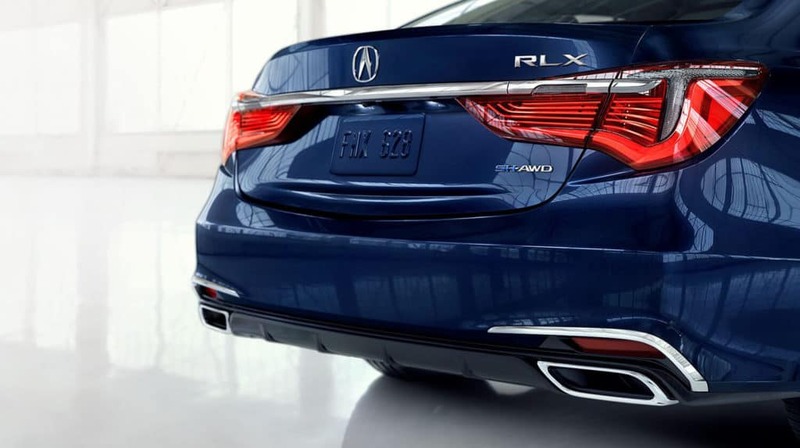 It’s no coincidence that the RLX and TLX sedans’ all-wheel drive upgrades are also paired with engine upgrades. 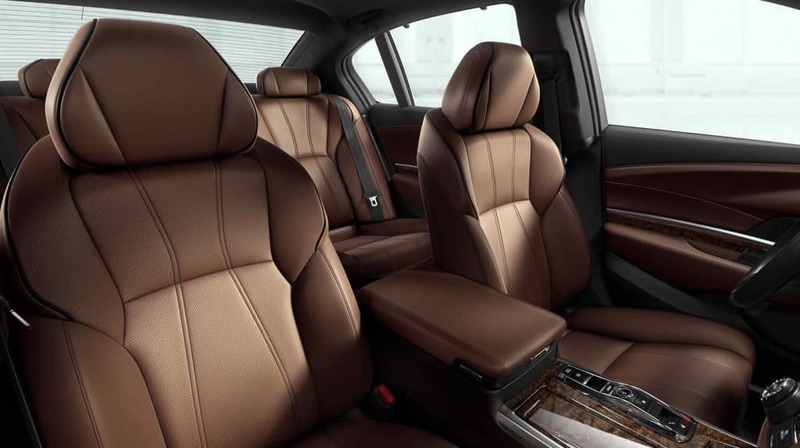 The MDX is the best-selling three-row luxury SUV of all time for many reasons. The biggest contributing factor to its best-selling reputation, perhaps, is its responsive handling. 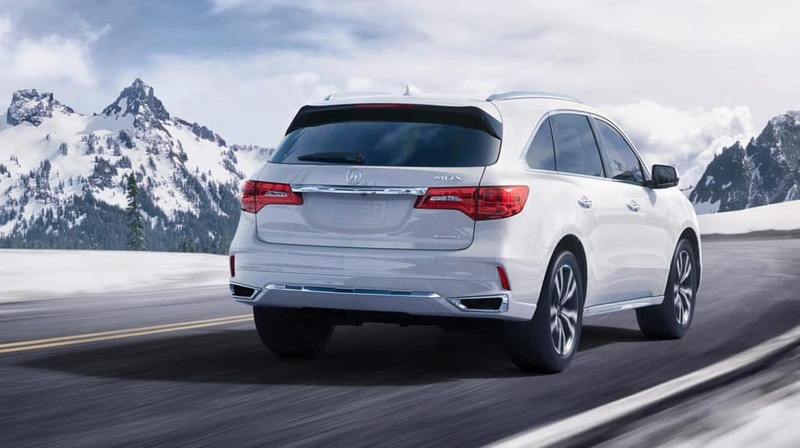 Every 2019 Acura MDX comes standard equipped with Vehicle Stability Assist (VSA) with Traction Control and Motion Adaptive Steering, Agile Handling Assist, and an Integrated Dynamics System (IDS) that features three distinct driving modes. But this technology is only the beginning. 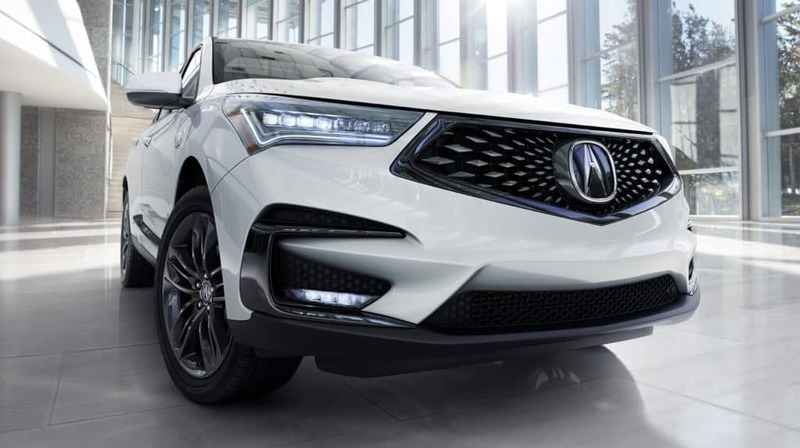 Joining a 3.5L 290-hp engine, all 2019 MDX models can be outfitted with class-defining, available Super Handling All-Wheel Drive (SH-AWD), which enhances traction during slippery road conditions as well as everyday driving. This torque-vectoring system distributes power between the front and rear wheels—and between each rear wheel—based on real-time analysis of the vehicle’s performance and driver’s actions. Needless to say, challenging terrain and unexpected weather conditions no longer stand a chance against such a sophisticated all-wheel drive system. On slippery surfaces, SH-AWD proactively sends power to the wheel with the most traction. During lane changes, SH-AWD increases stability by transferring power to the inside rear wheel. Through the turns, SH-AWD distributes up to 70 percent of engine torque to the rear wheels, while the aforementioned torque-vectoring system can actually send up to 100 percent of that torque to the outside rear wheel for confident cornering. For straightaways that don’t require additional traction, SH-AWD will send up to 90 percent of engine power to the front wheels for better fuel economy. 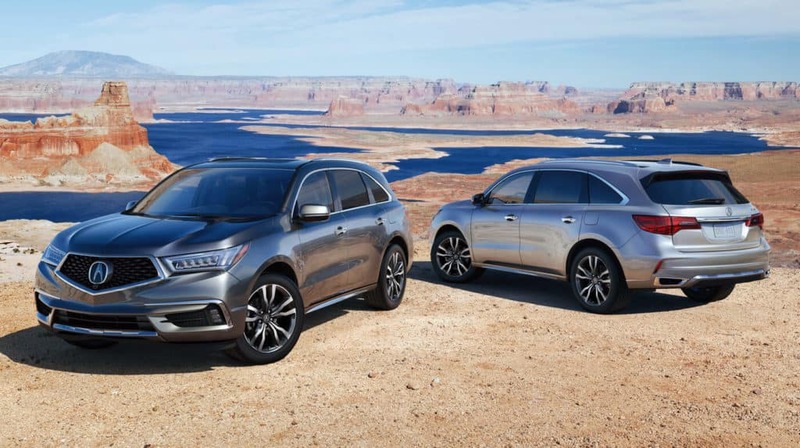 The SH-AWD system gives MDX a clear advantage over the competition. 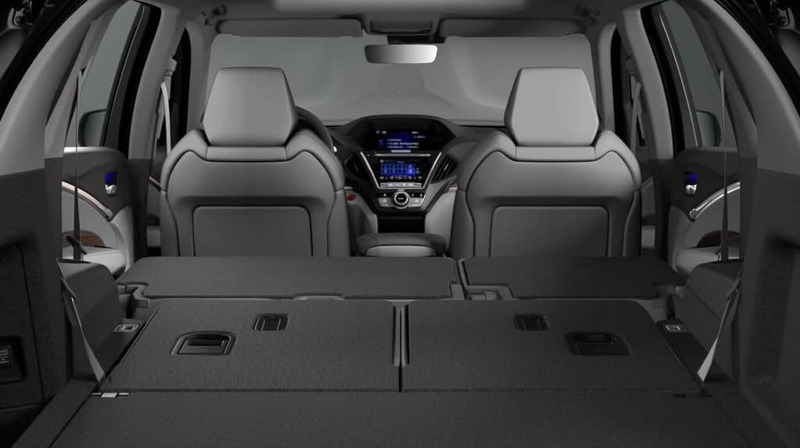 With 290 horsepower, 267 lb-ft of torque, and a 5,000-pound towing capacity, SH-AWD helps harness MDX’s power to increase performance during any driving scenario. 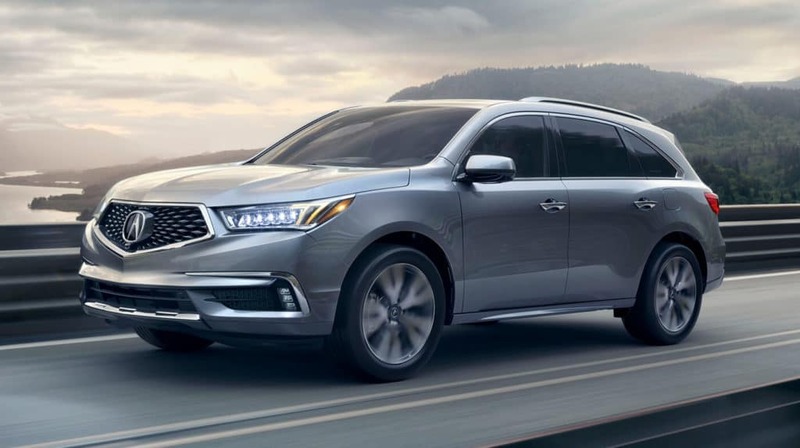 Whether its accelerating through sharp turns or navigating slick surfaces, the 2019 Acura MDX might be one of the most sure-footed luxury SUVs in its segment. on the 2019 MDX today. 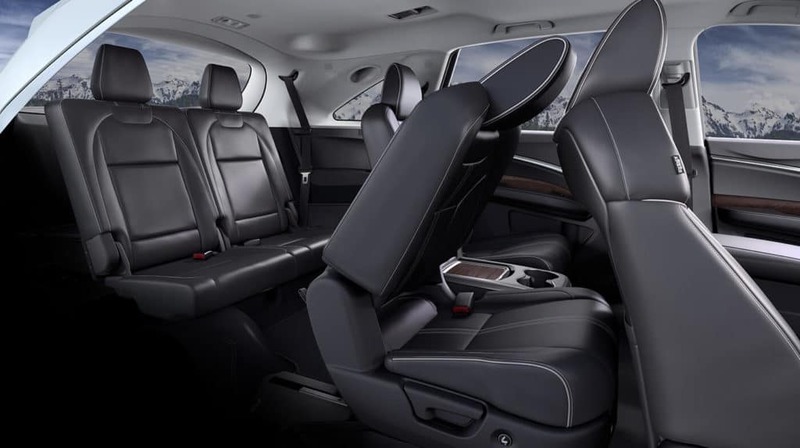 Acura’s RDX may be the smaller sibling to the MDX, but it’s big on performance features necessary for all-weather confidence. 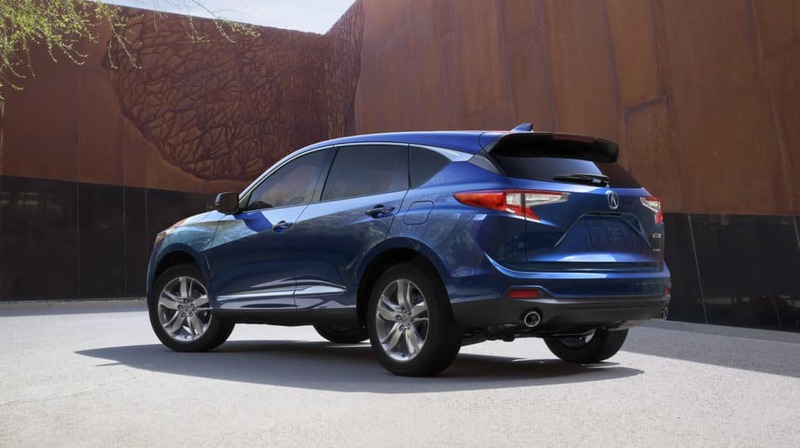 The 2019 RDX sports a 10-speed automatic transmission to complement its 2.0-liter turbocharged 4-cylinder engine. And back by popular demand, Super Handling All-Wheel Drive (SH-AWD) is available on any trim, ideal for rugged terrain, city streets, or slick surfaces. SH-AWD will boost performance by determining the best power distribution between the front and rear wheels—and between the rear wheels individually. In a hard acceleration, the SH-AWD system transfers nearly half of the engine’s power to the rear for maximum traction. And when cornering, the system keeps RDX stable by applying torque to the outside wheels where the weight has shifted. 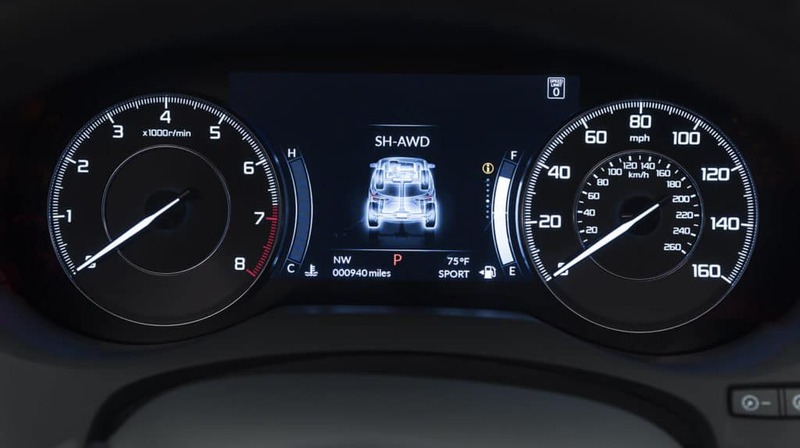 Remarkably intuitive, if the SH-AWD system detects any threat of oversteering or understeering, it maintains stability by redirecting power among the wheels. Additionally, Vehicle Stability Assist with Traction Control and Motion Adaptive Steering stabilize the vehicle before you’re even aware there’s a problem. Yet, for all the performance enhancing features, full manual control is at your fingertips with Sequential SportShift Paddle Shifters and Electronic Gear Selector. 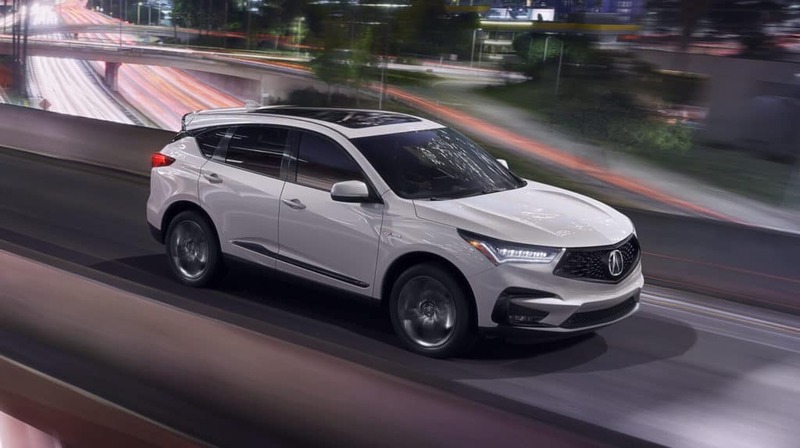 And to ensure every drive is a safe one, all 2019 RDX models are equipped with AcuraWatch, a suite of advanced safety and driver-assistive technologies. on the 2019 RDX today. Not All AWD Is Created Equal. 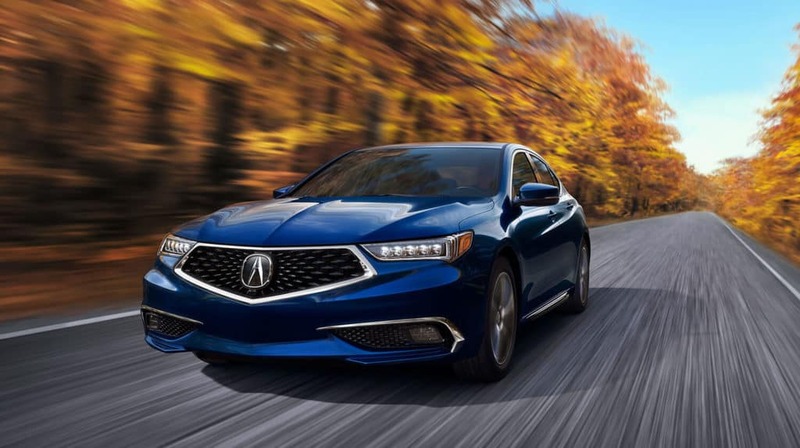 Utilizing some of the same technology found on board the NSX supercar, the 2019 Acura RLX and its Sport Hybrid SH-AWD system is one of the most advanced all-wheel drive configurations on the road today. 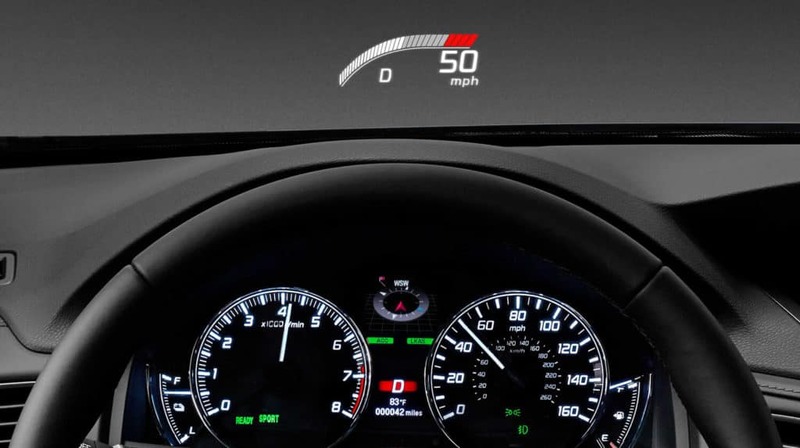 This system is designed to react to the driving conditions, as well as the driver’s input, instinctively supplying torque in situations that call for added acceleration, response, and handling. From highway cruising to slick road conditions, the Sport Hybrid SH-AWD system gives drivers the upper hand in nearly any driving scenario. 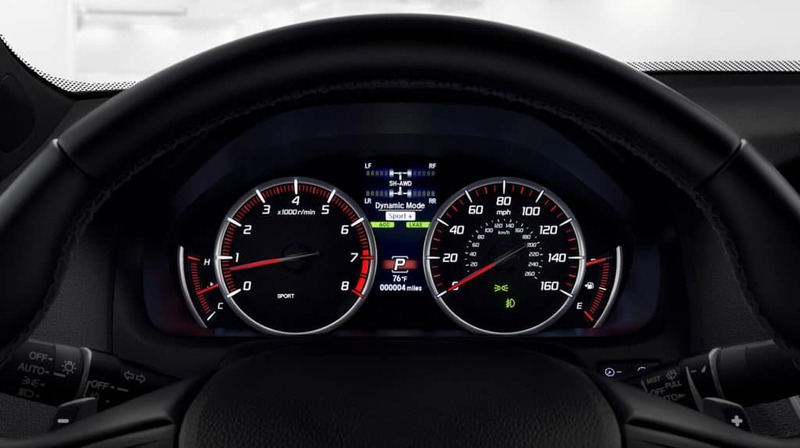 Dramatic acceleration comes courtesy of the rear Twin Motor Unit (TMU), which provides instant torque vectoring when the RLX is at a standstill. During cornering, the same TMU also transfers torque side to side between the rear wheels, independently applying positive or negative torque to each wheel as needed; therefore, tightening the vehicle’s line and precisely tracing the driver’s desired path. 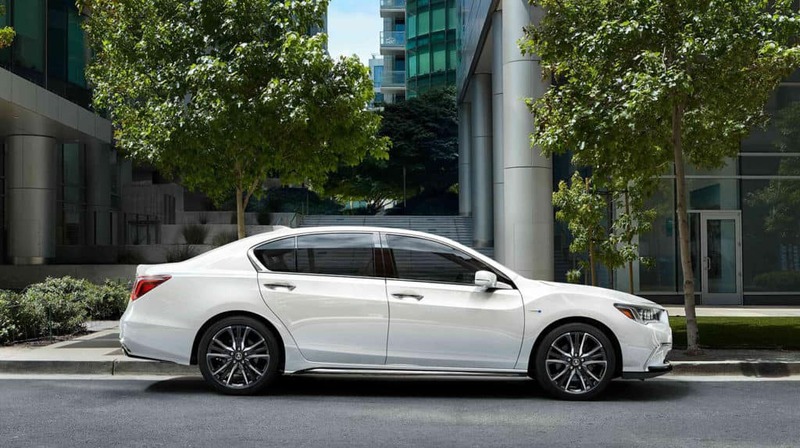 The Sport Hybrid SH-AWD system makes easy work of challenging terrain by monitoring the RLX’s speed, wheel spin, driver input, and other factors to instantly distribute power to the wheels with the most traction or send negative torque to a specific wheel for increased stability. Whether you’re navigating snow-covered streets or dry pavement, this electric-torque-vectoring, all-wheel drive system keeps the RLX strongly connected with the road ahead. on the 2019 RLX today. 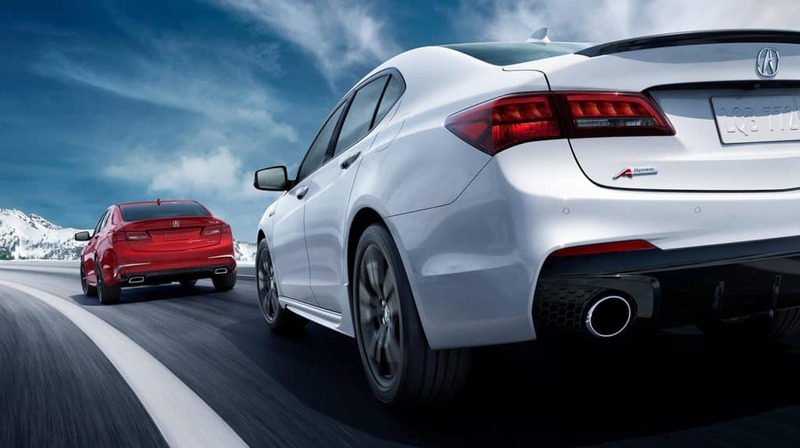 The 2020 TLX lineup features three, highly capable powertrains, including the 2.4-liter inline-4 and available 3.5-liter V-6 engine equipped with Super Handling All-Wheel Drive (SH-AWD), a revolutionary torque-vectoring technology born from racing that turns even the most demanding driving moments into some of your most confident performance experiences. SH-AWD distributes power front to back and to each rear wheel based on wheel speed, steering angle, rate of steering, lateral G-forces, and yaw rates. Under slick conditions, SH-AWD actively sends power to the wheel with the most traction. When cornering on dry surfaces, up to 70 percent of the torque is distributed to the rear. Torque vectoring allows up to 100 percent of that power to distribute to the outside rear wheel, improving control and helping rotate the TLX through the turn. For better fuel efficiency, up to 90 percent of engine power is sent to the front wheels when cruising in a straight line. During lane changes, the SH-AWD system transfers torque to the inside rear wheel for increased stability. 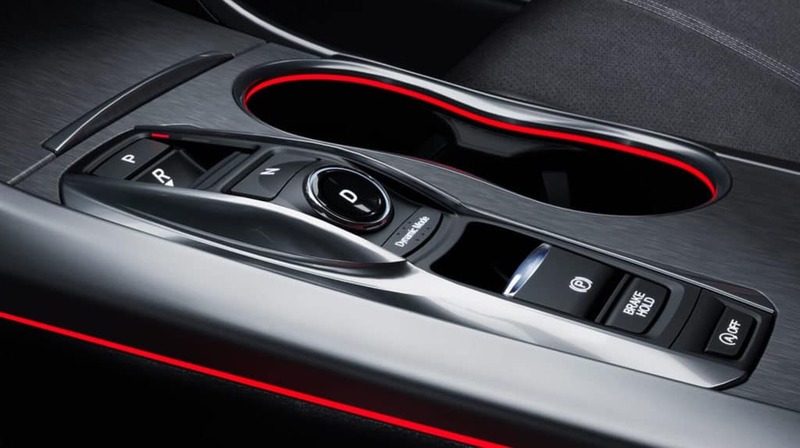 Every 2020 Acura TLX is equipped with the Integrated Dynamics System (IDS) that perfectly sets up the car’s technology to deliver four unique modes of Precision Crafted Performance. 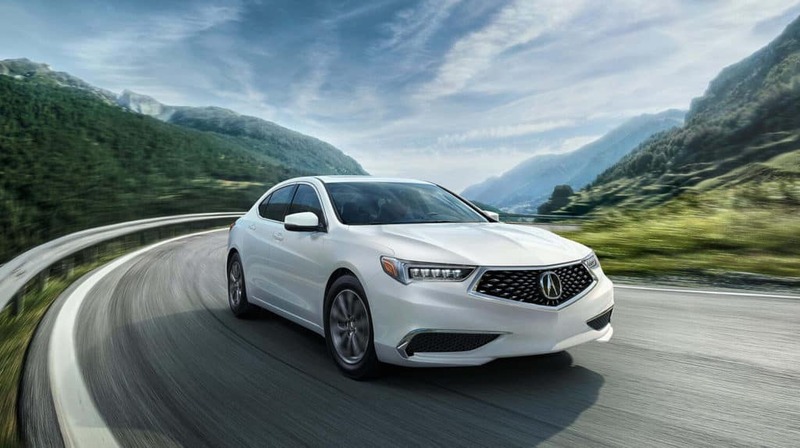 Click from Normal mode into Sport mode, and the TLX instantly dials up throttle response, increases the top end of shift points, weights the steering for a more connected feel, and puts the SH-AWD system on notice to deliver more aggressive responses. Sport+ takes that aggressive demeanor one step further, with even higher shift points and rev-matching downshifts for better balance when quickly running up and down the gears. 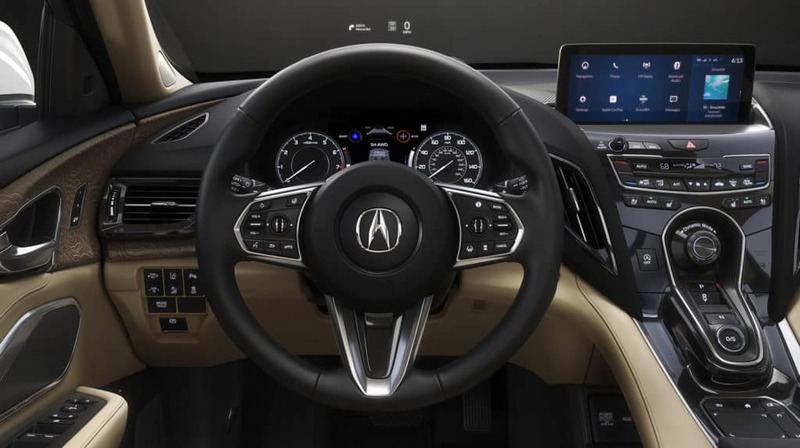 High performance and unparalleled safety join forces on board the 2020 TLX with additional, standard features like an Electronic Gear Selector, Sequential SportShift Paddle Shifters, Agile Handling Assist, Vehicle Stability Assist, and the AcuraWatch driver-assistive suite. on the 2020 TLX today.